Kimberly Kay McClure has always dreamed of helping people have successful and fulfilling lives. As a former full-time teacher and coach, she helped her students prepare themselves academically and physically to meet the many daily challenges and interesting opportunities placed before them. As a member of the Adams Financial Group team since 1999, the dream of helping people achieve success has only continued to grow. Her desire is to help her clients make informed financial decisions for themselves and for their families so that they can face their futures with the same security and confidence she worked to instill in her students. Through sound financial advice, Kimberly helps her clients make decisions affecting their life insurance policies, their investments and their futures. Kimberly has a love for people, and works diligently to establish a relationship with her clients that will lead to positive, long-term benefits for them. 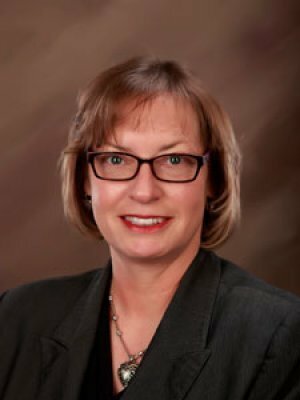 Kim is a current member and past President of the Greater East Texas Association of Insurance and Financial Advisors, a member of the East Texas Estate Planning Council, and The Financial Planning Association. These organizations provide her access to a large network of financial advisors and specialists from whom she can learn and to whom she can contribute. She is also a member of The Women's Fund of Tyler. Kim is a graduate of Oklahoma Baptist University, where she received a Bachelor of Science degree in Education. In addition, Kim received her Master of Science in Personal Financial Planning from The College for Financial Planning in Denver, Colorado. She is an Investment Advisor Representative and Registered Representative with Securian Financial Services, Inc. Kim holds her Series 7, 63, and 65 securities registrations and a General Lines Insurance license. Kim, her husband Mike, and their children, Bethany, Kaleigh, and Caleb are active members of Green Acres Baptist Church in Tyler, Texas. They make their home in Troup, Texas.